Vaddio’s PowerVIEW PTZ cameras bring 3-Chip broadcast camera performance to a Single-Chip camera. 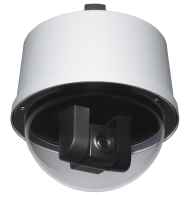 Based on third-generation Maicovicon MOS imaging sensor technology, the HD-22 improves color and brightness uniformity, ensuring an improved high definition image quality. The HD-22 comes equipped with a multi-element 22x optical glass auto-focus zoom lens that provides up to a 66-degree field-of-view for a wide range of telephoto or wide-angle shot options. 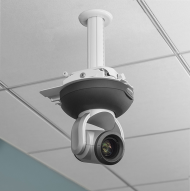 An impressive 128x wide dynamic range covers both light and dark contrasted areas and a Color Capture light system produces vivid color images without color saturation or filtering. 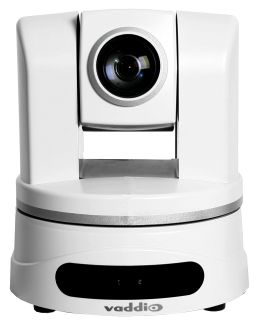 The PowerVIEW HD-22 is the industry’s first robotic PTZ camera to use the new MOS 1/2.8-Progressive Scan imaging sensor. 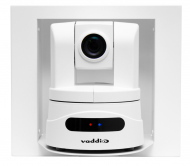 By suppressing uneven brightness, the HD-22 provides an unmatched low-light performance of 0.4 LUX and a Super Sharp Detail technology for auto-sharpening fuzzy images. 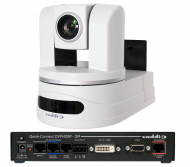 The WallVIEW HD-22 DVI/HDMI delivers simultaneous component (YPbPr) and digital video (DVI-D and HDMI) outputs on separate connectors, ideal for videoconferencing apllications, multiple monitoring and large projection systems. 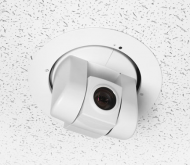 IN-Ceiling Half Recessed Enclosure for Vaddio HD-Series PTZ Cameras For mounting the Vaddio RoboSHOT and HD-Series PTZ Cameras halfway into a ceiling tile. 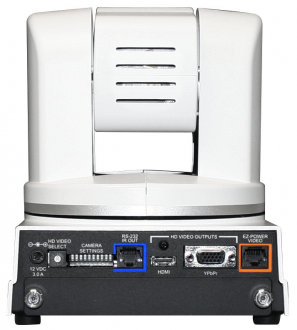 IN-Wall Enclosure for ClearVIEW/PowerVIEW HD-Series Cameras Attractive In-Wall Enclosure for ClearVIEW HD-USB, PowerVIEW HD-22 and HD-30 cameras designed to fit the EZCamera Interface Module (EZIM) in the back of the box to enable Cat. 5 cabling.